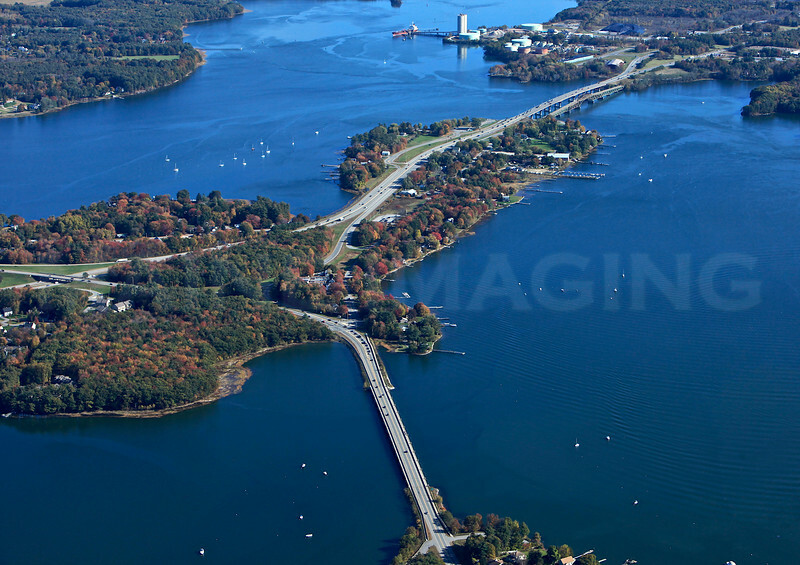 A Collection of Aerial Images of Dover, NH, and the surrounding area. Route 4 leads to Dover Point and the Spaulding Turnpike. Dover, New Hampshire.